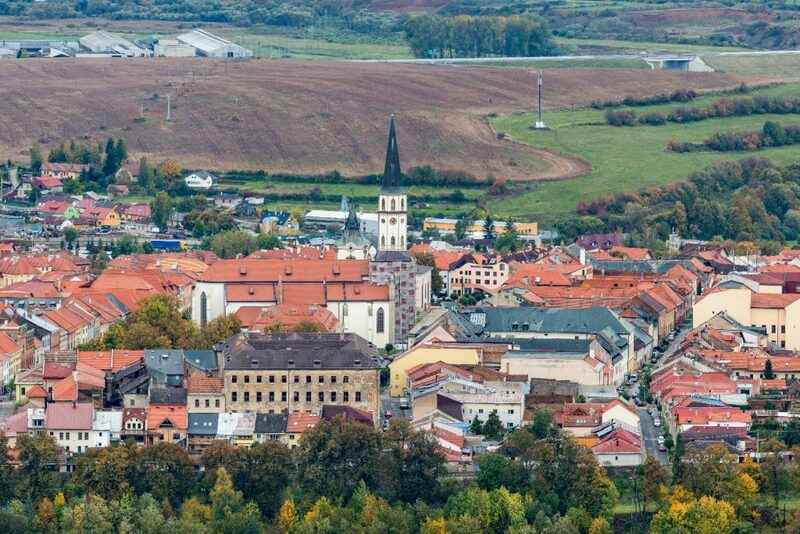 Levoča is a wonderfully preserved mediaeval town set in an area of exceptional natural beauty and historical richness. Its unique qualities led UNESCO to declare it as a World Heritage Site in June 2009. The area was inhabited as early as the Stone Age and after the Mongol invasions of 1241/1242 was settled by German colonists. The oldest written reference to the city dates back to 1249. In 1317, Levoča (at that time generally known by the German name of Leutschau) received the status of a royal town. In the 15th century the town, located on an intersection of trade routes, became a rich centre of commerce. The town kept this status until the end of 16th century, in spite of two damaging fires in 1550 and 1599. In this period of prosperity several churches were built, as well as the numerous mansions which still constitute the old town, and the town had a school, library, pharmacy and physicians. There was a printing press as early as 1624. Levoča was a centre of the Protestant Reformation in Slovakia. During much of this period the town was effectively the capital of Spiš, one of the great administrative counties of the Kingdom of Hungary, and was generally known by its Hungarian name of Löcse. From this period dates the 17th-century ‘Cage of Shame‘ outside the Town Hall – formerly used as a prison for female miscreants. The town started to decline during the anti-Habsburg uprisings in the 17th century. In a lurid sequence of events in 1700, the mayor of the town was accidentally wounded by a local nobleman during a hunt, generating a series of revenge attacks, finally resulting in the murder of the mayor, Karol Kramler. The mayor’s arm was then cut off, embalmed, and preserved in the town hall as a call to further revenge. This became the subject of a novel about the town, “The Black City“, by the Hungarian writer Kálmán Mikszáth. The economic importance of the town was further diminished in 1871 when a new important railway line was built, bypassing Levoca, on its inconvenient hill site, in favour of the nearby town of Spišská Nová Ves, which lies in the plain. After the Treaty of Trianon the city became part of the newly formed Czechoslovakia and its traditional Slovak name of Levoča was formally adopted. Today the main entrance to the old town, which is still almost completely encircled by its ancient walls, is via the monumental Košice Gate (15th century) behind which is located the ornate baroque Church of the Holy Spirit and the New Minorite Monastery (c. 1750). The town square boasts three major monuments; the Italianate Old Town Hall (15th-17th century) which now contains a museum, the Lutheran church (1837) and the 14th century Basilica of St. James. This houses a magnificent Gothic carved and painted wooden altar, the largest in Europe, (18.62 m. in height), created by Master Pavol around 1520. The square is well preserved and restored (despite one or two modern incursions) and contains a number of striking buildings which were the town-houses of the local nobility in the late middle ages. Other buildings on the square house a historical museum and a museum dedicated to the work of Master Pavol. Another encloses a beautiful late 18th-century theatre, where many of the Festival’s concerts take place.Behind the square in Klástorška Street are the 14th century church and remains of the old monastery of the Minorites, now incorporated into a Church grammar school. Nearby is the town’s Polish Gate, a Gothic construction of the 15th century.